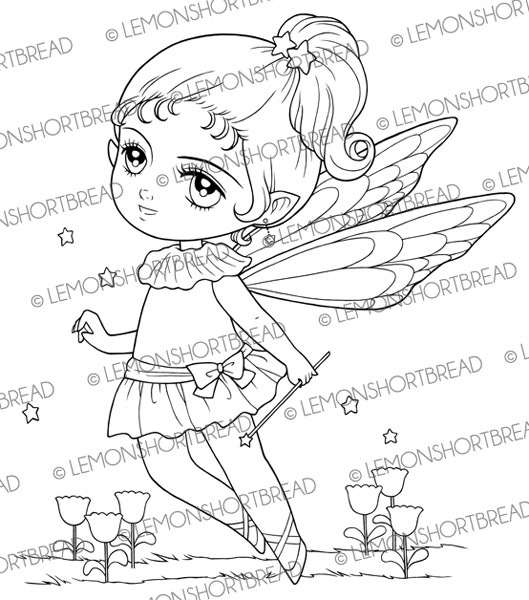 Completed a few fairy-pixie nature based digital stamp illustrations this week, featuring this super cute "Star Field Fairy". Check out her little star wand! 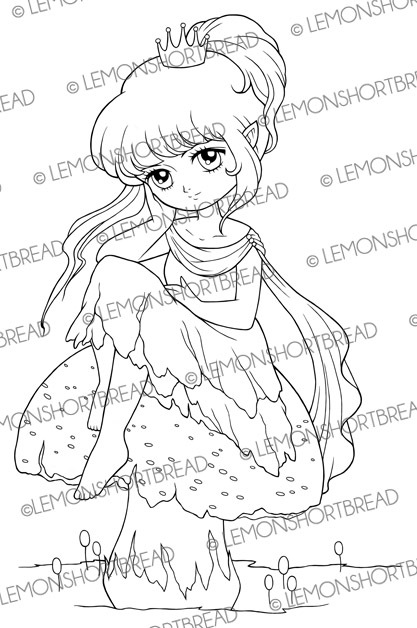 This taller elf/pixie is titled "Picking Strawberries". 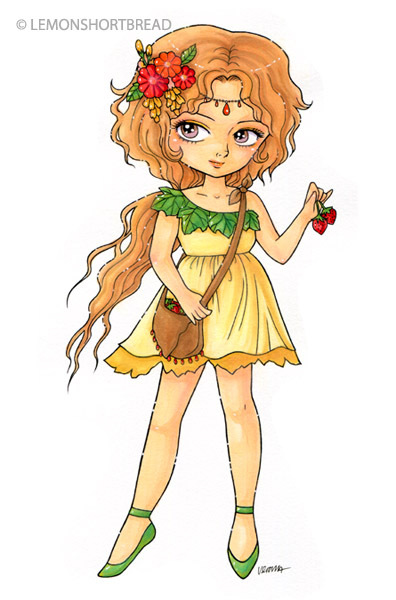 She has flowers in her hair and a small sling bag of strawberries. 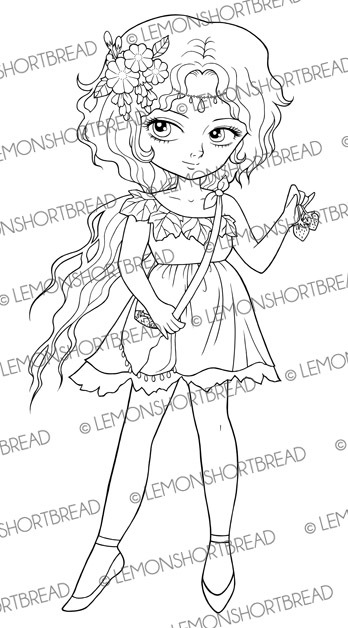 This lass has a large flower in her hair and holding a daisy. I gave her a cute bob hairstyle with freckles on her face, also added some little flowers on her puffy skirt! 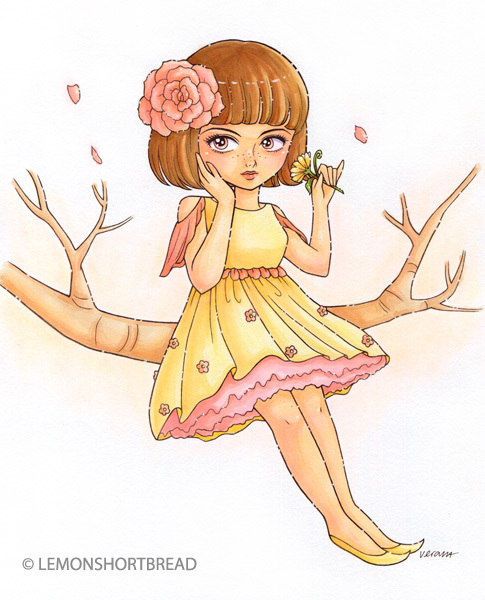 Titled "Bob Pixie". 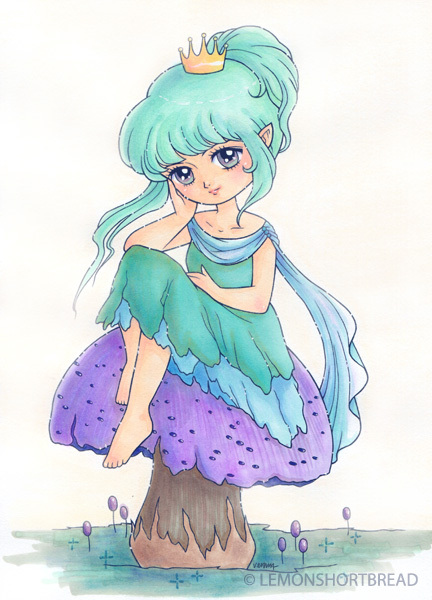 This is the latest one titled "Toadstool Princess". Originally she had a ribbon bow in her hair but I decided to change it into a crown to match her dress. She is sitting on a large toadstool. 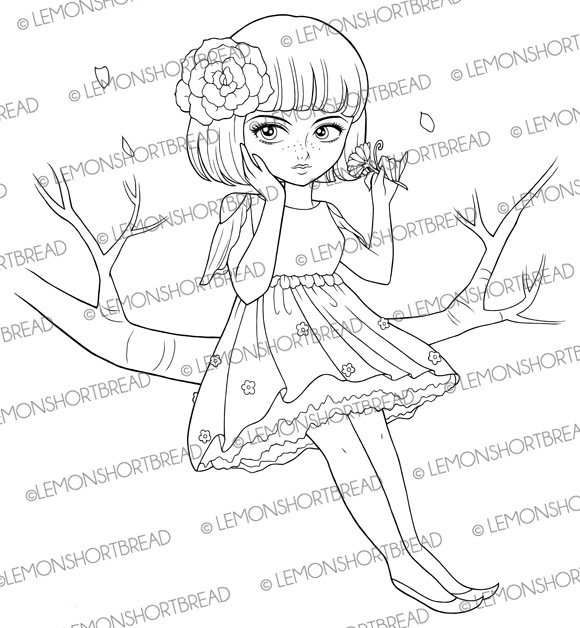 I am targeting 100 digi stamps in my Etsy shop asap. Some crafters have asked about setting up a challenge blog for Lemon Shortbread stamps, which I have replied 'not just yet'! Well it is almost time, I will set one up when I reach 100 stamps! The main reason is to have sufficient inventory for crafters since new artworks come in spurts depending on my other work. If you are interested in becoming at DT or running the challenge blog for me, please keep a watch on my blog, Twitter or Facebook, or you can convo via Etsy so I can send out a notice when it is ready, though that may take a few months. I will also contact all the kind folks who have mentioned interest in setting up the challenge blog. Once again, thanks for your support!